Hayley joined the Real Estate industry when she was 18 years old, having spent the past 5 years working in Dandenong’s Largest Agency managing over 700 properties. Hayley’s organisation, communication, reliability and passion for Property Management is the key to her success, ensuring landlords and tenants receive not only a promising tenancy but also have the peace of mind knowing their property is in the right hands which makes owning and renting a property a stress free process. Hayley has extensive knowledge in risk management and all other aspects of Property Management, promising the very best customer service at all times. Outside of work Hayley enjoys horse riding, camping, boats, jet skis and spending time with family & friends. Melissa joined us in October 2017 as our receptionist. She is the first smiling face you will see when walking through the door and the friendly voice that answers your phone calls. Melissa brings 6 years of customer service skills and always aims to give you the best possible experience in our office. Since joining Melissa has obtained her Agents license and is continuing to grow her knowledge with a marketing degree. 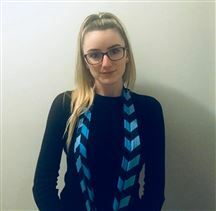 In July 2018 she received Administrator of the Quarter for Harcourts and has recently been nominated for Admin of the Year 2019. Melissa has developed a keen interest in real estate and hopes to join the sales team very soon. Although she lives 30 minutes away Melissa quickly fell in love with the area, often driving through the hills on her days off and is a frequent visitor to the local cafes.